Gareth and I sat down with a glass of champagne each to look at the most amazing album - you really are a genius! Our wedding looked amazing! Thank you for everything- you really have gone way beyond our expectations at all times. We couldn't have asked for anyone better to capture our day. With love and thanks, Gareth and Gwennan. It was such a pleasure to work with you as our photographer, we wanted to thank you for bearing with us on the day but also more importantly working with us on our different events. You have been nicknamed Mrs Canon, and I think all our friends and family will always remember you :-). Being a person that doesn't usually like to be centre of attention, I had huge reservations when choosing our wedding photographer. My husband and I could definitely not have chosen a better person to capture our day, after having the pre wedding shoot with Gill, we definitely eased into things with a lot more comfort on our wedding day at Bron Eifion it was totally beautiful and Gill captured everything so naturally. I absolutely loved the feeling Gill created during the pictures, all of our family felt comfortable and at ease relaxing into the photographs, not one person had a stiff, forced smile and that is definitely an achievement with my family as everyone hates being photographed! I definitely take my hat off to you Gill you are totally fantastic. We thank you with all our heart. I just wanted to drop you a line to say ‘thank you so much’ for your patience on our wedding day. We weren’t the easiest to take photos of but you made it fun and helped us to relax. The family are very confident that you will have some brilliant photos of us all, as you know Craig and I don’t like posing for photos. Thank you again, we are so pleased we chose you. Thank you Gill, from the bottom of our hearts, for providing us with such beautifully captured memories of our special day. We definitely made the right decision in commissioning your professional services, with both Olga and you working so hard throughout a long day. 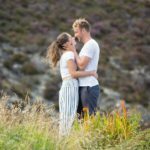 The optional pre-wedding shoot allowed us to settle in and familiarise ourselves with our styles and taste, that made the wedding day go so smooth and effortless. The album captures the whole essence of the day, giving a lovely story and fantastic memories we will treasure forever, and for that we are truly grateful. The photos are fantastic! You have done such an amazing job of capturing all the special moments! I can't thank you enough. Oh wow, what an artist. I love her minimalist shots of the clothes, and particularly of the bodice of your dress with the light shinning through it. 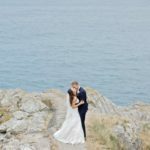 Beautiful shots of you and your bridesmaids, and she has captured both Ben's intense nervousness and your absolute delight (talk about the cat having got the cream!) soooooo well! And that was just part 1. Now for part 2... Yup, the woman is most definitely an artist! I love the photo of you and Ben walking through the garden under an umbrella with your back to the photographer. And while I normally love black &amp; white shots, I think yours look best in color. The subtleties of your dress come out best, and the splash of color thrown by the yellow chair or Ben's socks just make the pictures. The album and disc arrived safely yesterday. What to say? I am struggling for adequate superlatives. It is very, very beautiful. All of it. Thank you so much. It has been the most wonderful experience working with you and I'm a little sad it is coming to an end. You have made it the most fun, been incredibly supportive (and patient) and perhaps most importantly 'got us'. We have a wedding album which doesn't just capture our day but embraces our family, our story and the things that we love. To quote Degas (as you do)..... Art is not what you see, it is what you make others see. We recently received your lovely album capturing that wonderful August 3rd day in Trearddur Bay. It is beautiful and vividly records the whole day from start to finish within the circus 'book ends' and we were so lucky with the weather as well. Your work is high quality and the album will bring fantastic memories for many many years to come, in fact forever! If you ever need a reference don't hesitate to ask as your work speaks volumes for the creativity and thought behind your lens. Thank you so much for capturing our day; you've done an amazing job and we're thrilled to bits. We are over the moon with the photographs. 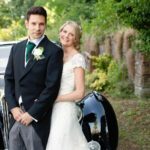 We're both so pleased that you've managed to capture all the best moments from the day as well as the fantastic family group shots, they are fantastic mementos of our special day. We will gladly recommend you to our family and friends in North Wales.